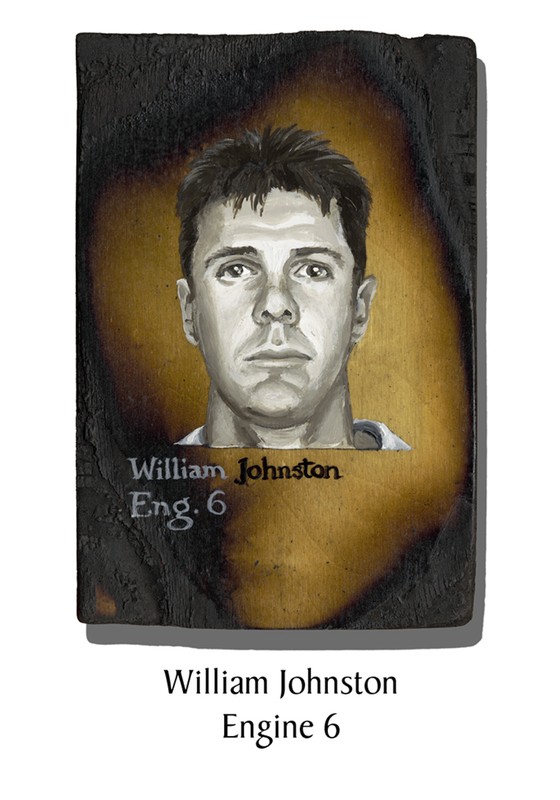 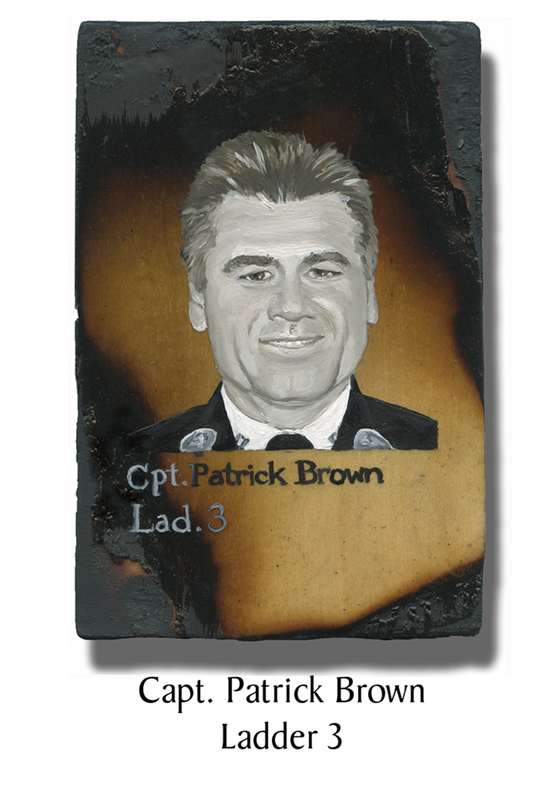 This exhibit features 343 portraits by artist Dawn Howkinson Siebel, one for every New York City firefighter lost in the World Trade Center attacks. 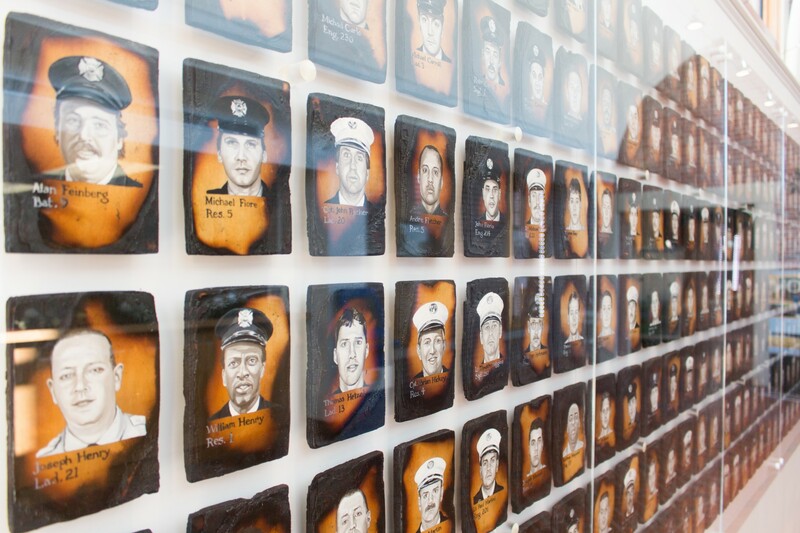 Together, the images create a wall measuring 21 feet long, allowing visitors to come face to face with men who made their living running toward danger and saving lives, even at the risk of their own. 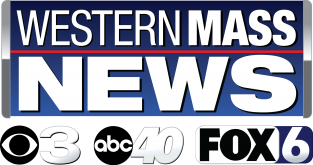 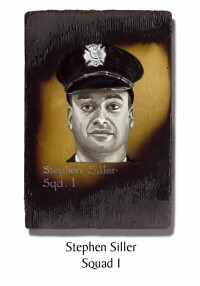 Siebel, a current resident of Easthampton, MA, was living in Colorado at the time of the attacks, but had been a longtime resident of Manhattan in the years prior. 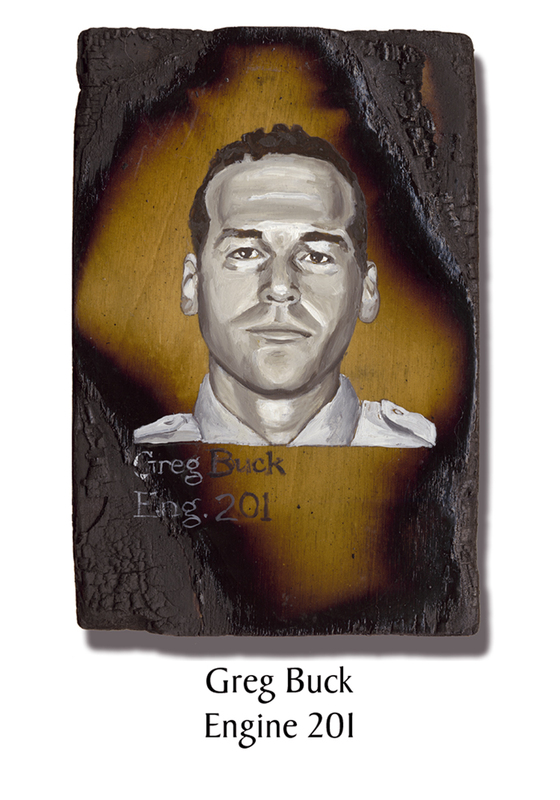 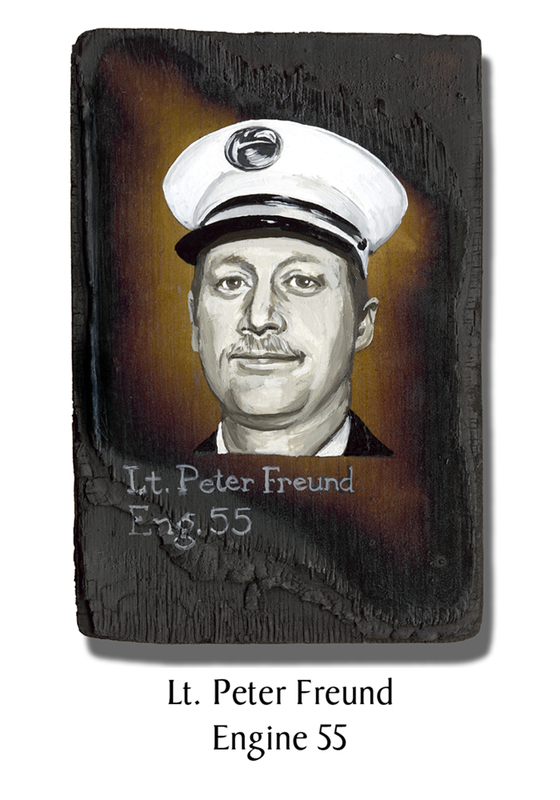 Inspired when The New York Times printed photos of all 343 of the fallen FDNY members, Siebel set out to paint a portrait of every firefighter lost on that fateful day. 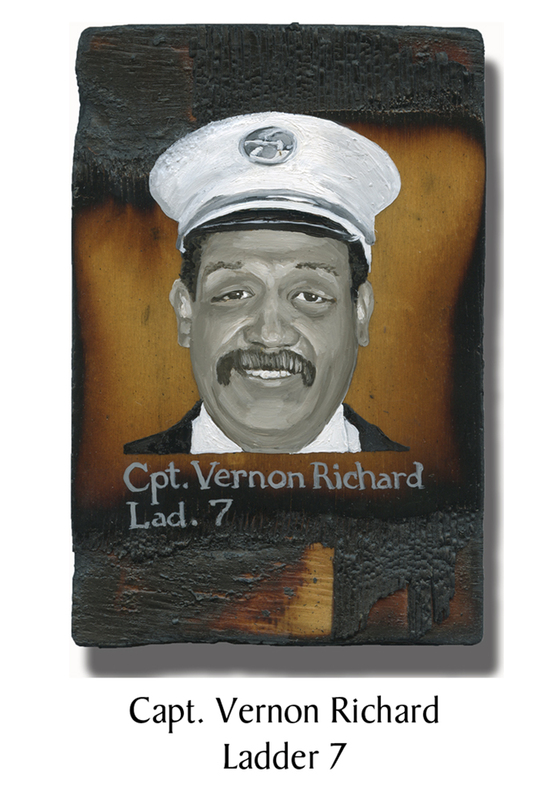 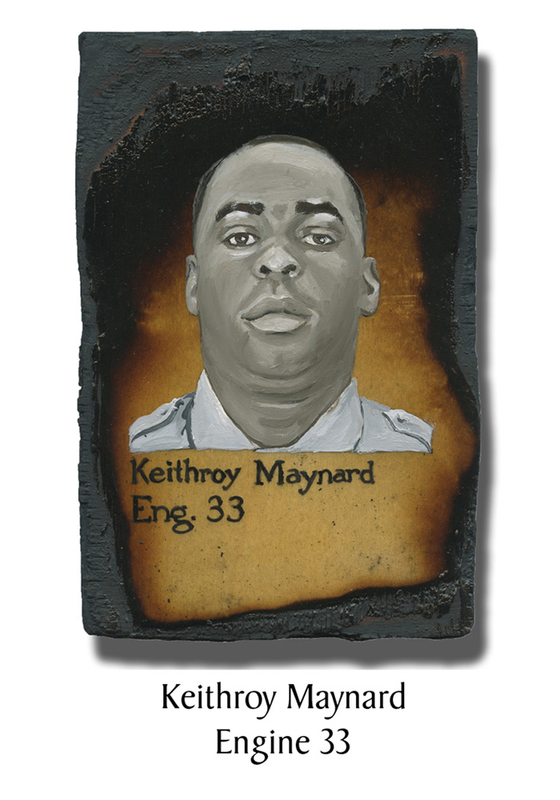 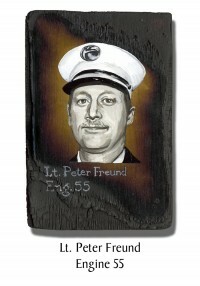 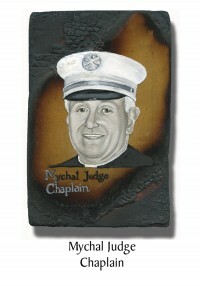 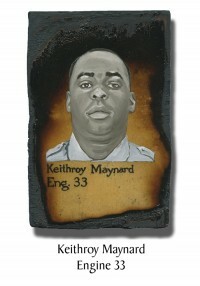 Over the next few years, she painstakingly hand-painted each portrait onto a 4 x 6 inch block of charred wood. 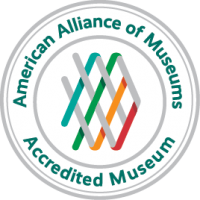 In total, the exhibit took 3,000 hours and over 6 years to create.